Many of our clients have furry, four-legged, family members and ask us, “how important is pet insurance?” We like to think that it is very important. We love our pets and don’t want to think about how a vet bill could be a determining factor over whether we have to say goodbye to a beloved friend, however without pet insurance that is often the case. To illustrate the necessity of our affordable pet insurance policies, let us tell you a true story of one family’s experience of an emergency veterinarian visit without pet insurance. One morning, a teenage girl woke up to her pet rabbit having seizures. The family rushed the rabbit to a local vet that treats rabbits. The vet admits the rabbit, but discusses with the girl’s father that they may need to do some blood work and takes some x-rays, which without insurance could cost more than he is willing to spend on the family pet. The father, talks with his daughter and tells her that he will spend the money if she thinks that is the right thing to do. The daughter, who is in her young teens, says that she understands the tests will cost a lot of money, but she has had the rabbit for almost 10 years and wants to know that they did everything that they could to help him. The father agrees to the tests and pays for the blood work, x-rays, and boarding. Eventually, the family learns that the pet rabbit’s kidneys are failing and he will pass in a number of days. The family took home their loving pet and enjoyed his company for one more night, before returning to the vet to say goodbye. All in all, the whole event ended up costing more than $2000 and still ended with a sad farewell. We offer varying levels of affordable Pet Insurance through the ASPCA. All you have to do is call 1-877-343-5314 if you have any questions or would like to request a quote over the phone. Make use you use our Agency Priority Code: FLD330, so that the ASPCA knows that you are working through a 3rd party agency. This will allow us to add the Pet Insurance to your existing policy and provide you with our negotiated agency rate. 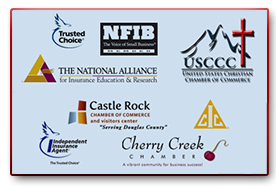 If you have any questions about how this will tie-in to your other insurance policies or if you would like to inquire about your existing policies or adding a new policy, please contact us at either location listed below.